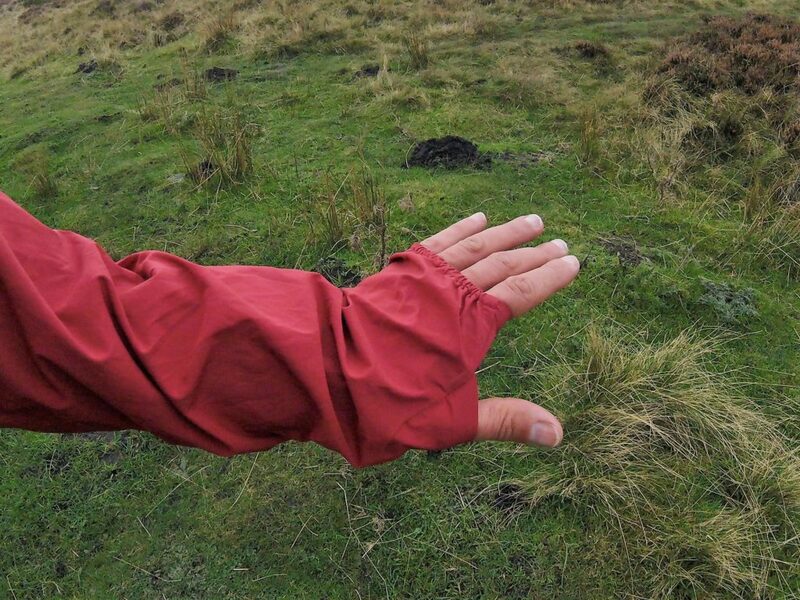 The Inov-8 Stormshell waterproof jacket has been around for a few years but it got an updated design in 2017 – so what’s it like? The Stormshell is designed as a lightweight and easily packable jacket for racing and training in wet weather, and it certainly is light. My size Extra Small Men’s weighed in at 163g. 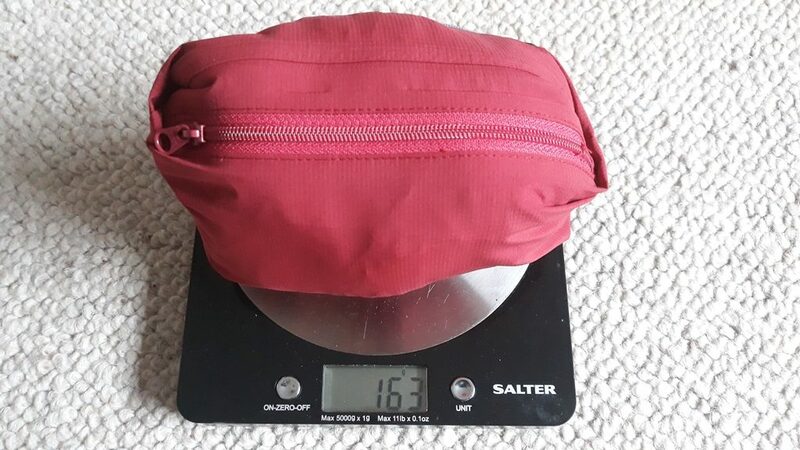 It packs neatly and easily into its own chest pocket allowing it to be carried in a bumbag or race vest with ease. 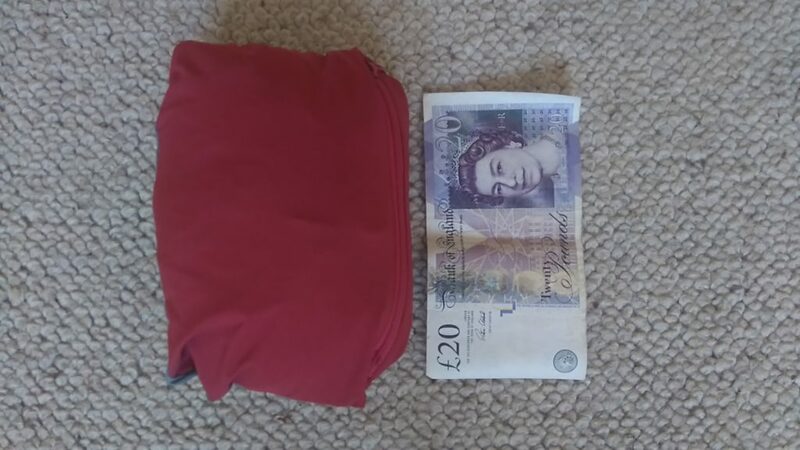 Packed size can be seen compared with a £20 note (although the jacket costs considerably more!) and can be compressed even further if needed. 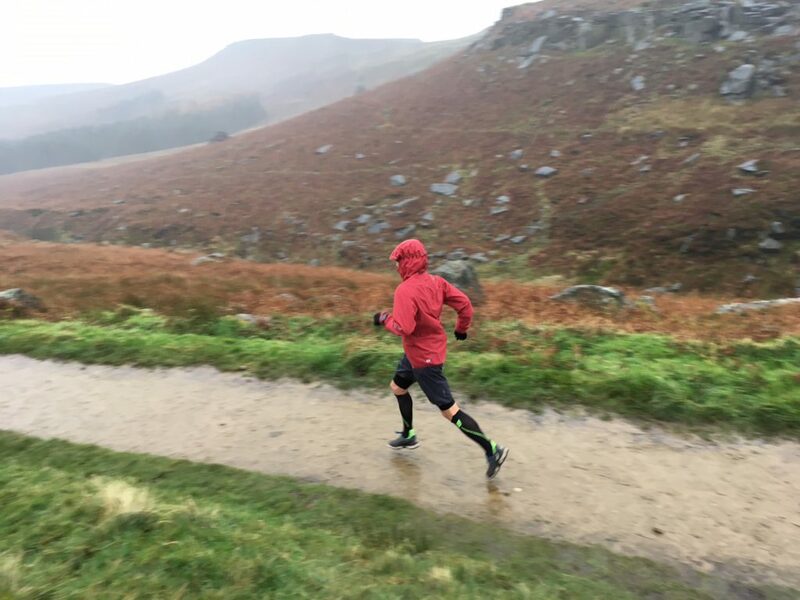 The fit is athletic, it’s not designed to be worn over lots of layers making it ideal for racing and faster training and well done to Inov-8 for making it in a size that fits us smaller than average chaps! First glance also shows that weight hasn’t simply been saved by doing away with useful features. 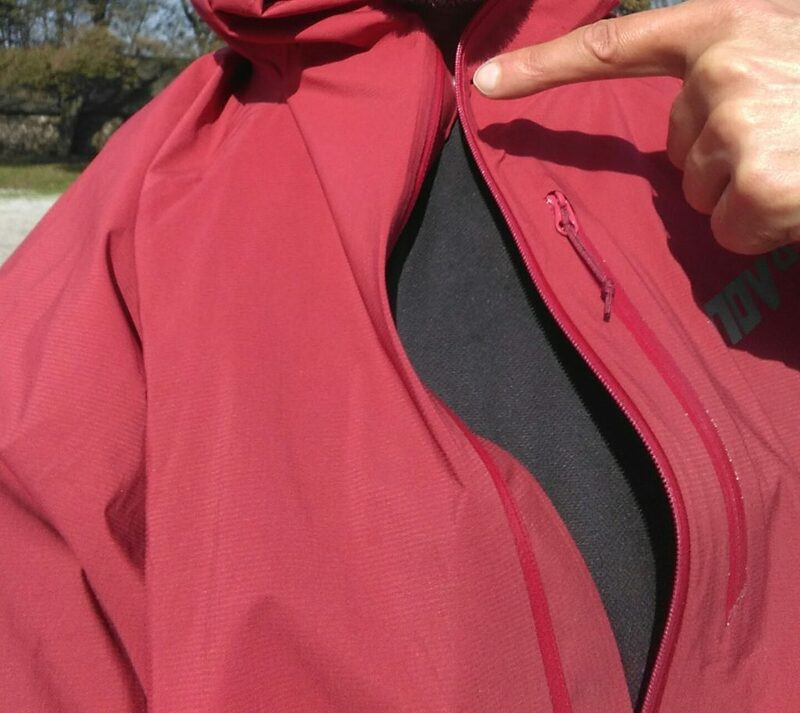 The Stormshell now comes with a full length zip rather than as a half zipped smock. This allows greater ventilation, for example when the rain stops but you don’t want to take the jacket off. There is also a small press stud just above chest height that prevents the jacket from flapping if it is unzipped in windy conditions. The external zipped chest pocket (that the jacket packs in to) just about fits a map section if folded small. It could do with being a little bigger to take an A4 laminated map folded in half. The elasticated cuffs have thumb holes and material that extends to cover the palm and back of the hand thus adding a bit more protection to the hands in cold conditions. The hem doesn’t have a drawcord but is elasticated to prevent the jacket riding up. My biggest complaint with lightweight waterproof jackets usually refers to the hood, i.e. why pay over a hundred pounds for a technical jacket that has a hood that doesn’t stay up!? 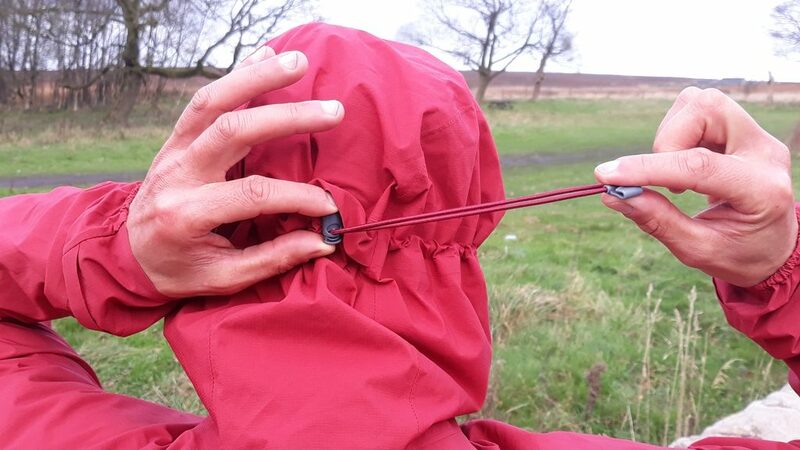 I’m happy to say that I’ve no complaints about the Stormshell – an elasticated drawcord on the back of the head allows the hood to be tightened nice and snug and a wired peak can be shaped to fit. This means that the whole hood moves with your head when you turn it and you can run into strong winds without the hood blowing down. 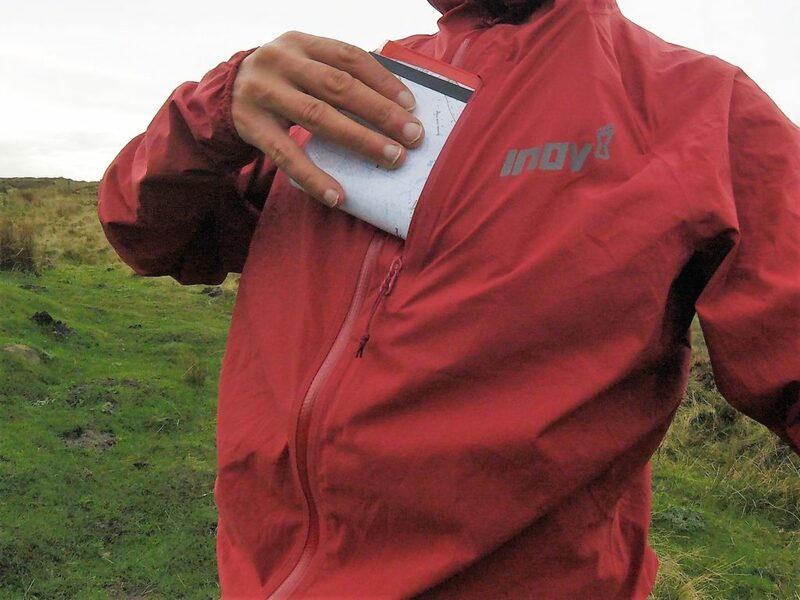 The zip comes right up over your mouth so that you can keep out the elements in really bad weather and the Inov-8 logos are reflective making you more visible in the light of a head torch or to vehicles on unlit country lanes. Material: Pertex Shield 2.5 layer fabric with fully taped seams. 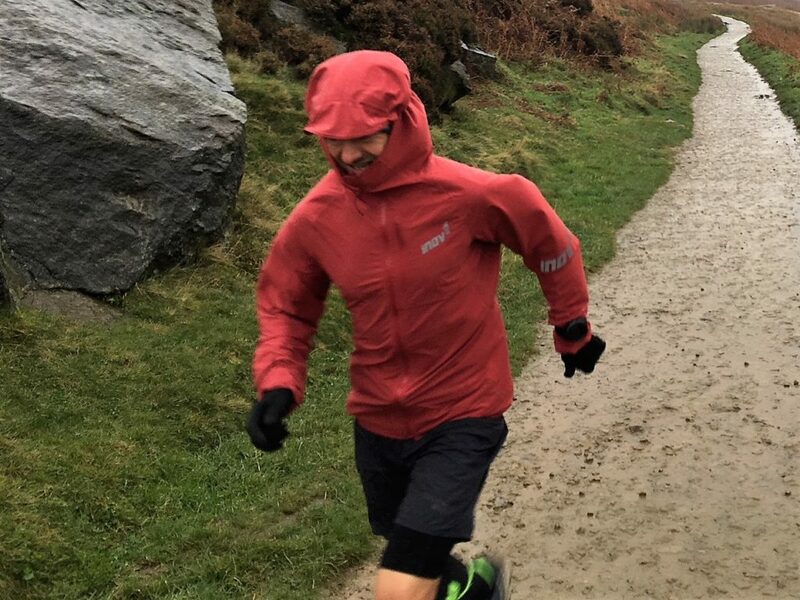 I’ve worn the new Stormshell whilst running in a variety of conditions including several short runs in the rain and a two and a half hour run in strong winds and frequent heavy showers. I like the fit and features of the jacket particularly the hood which actually stayed up in strong winds. The pocket could do with being a touch bigger to take a folded map. On short runs in the rain I stayed dry with water still beading on the jacket although at the end of the long run my base layer was quite damp in places. However I must add that I have yet to find any waterproof that keeps the rain out and allows sweat to escape whilst running fairly quickly for much more than an hour in heavy rain. At £170 it’s certainly not cheap and I’d be tempted to “save it for best” i.e. use it only for races and specific training runs rather than my everyday winter training jacket. This way I’d hope to prolong its life. 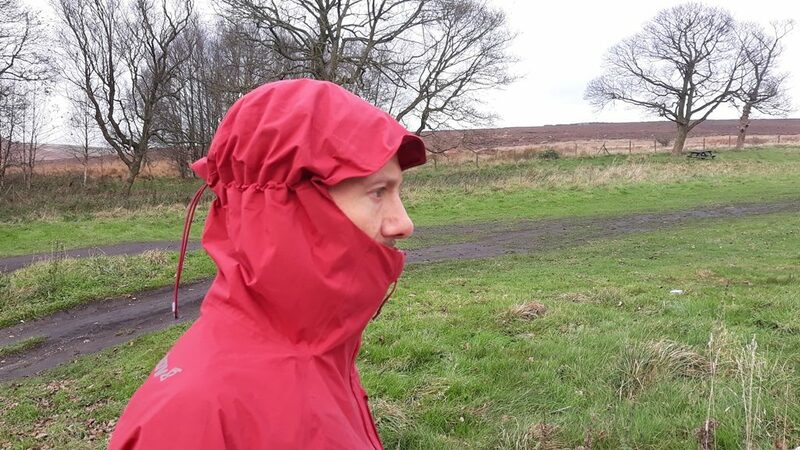 The Inov-8 Stormshell is a lightweight waterproof with some good features. It is ideal for training and racing in bad conditions and as a lightweight race jacket that is going to stay in your pack on dry races. Posted in Clothing, Equipment, Reviews and tagged inov-8 stormshell, waterproof. Hi Fell guide, I loved reading the the review and this certainly convinced me to go for this particalar jacket and pants. But I am a bit stuck on the sising for now. Always being on the in between measures of S and M I wonder how you felt about the sizing i. e. does the XS fit your chest and height size well? I’m only 5’3″ and 36″ chest and the XS is a good fit. Best thing to do is try it on or see if you can buy both the small and medium and send one of them back.